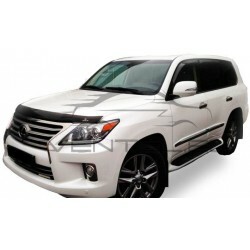 LEXUS LX 570 2008 up There are 5 products. Hood protector, stone and bug deflector is a shield on the front of the motor hood, made of acrylic plastic. 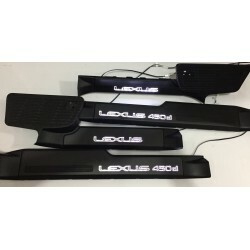 Exclusive stainless steel door led sill plates high quality with illumination for LEXUS LX 570 2008 up. Tuning is an endless improvement. 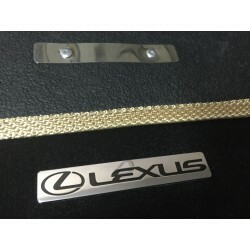 Great tuning car accessories - EXCLUSIVE HANDMADE LOGO IN THE CAR MAT for LEXUS. Tuning is an endless improvement! Great tuning car accessories - ALUMINUM PADS ON THE MAT. Tuning is an endless improvement! Great tuning car accessories - COMPLETE KIT ACTIVE SOUND. Tuning is an endless improvement!